Big data is changing the way that the world does business, from reactive to predictive. Analytics can transform the way that almost every department in your organization operates, but most companies are barely scratching the surface. This white paper outlines five tips to get more actionable insight from your data. 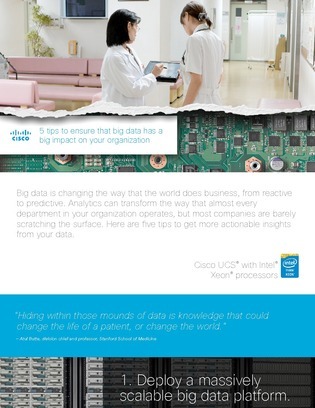 Download now and discover how these tips will help you ensure that big data has a big impact on your business.